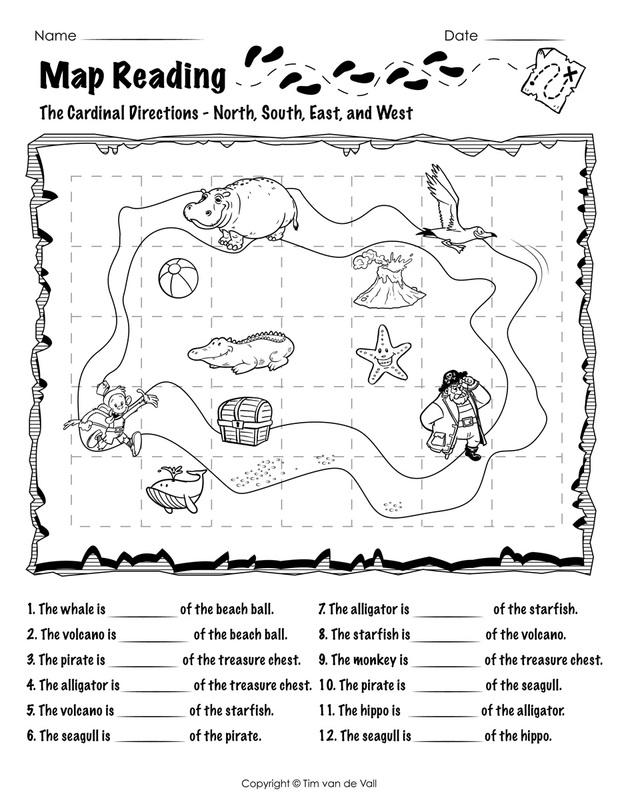 Are you children learning about the cardinal directions in school? 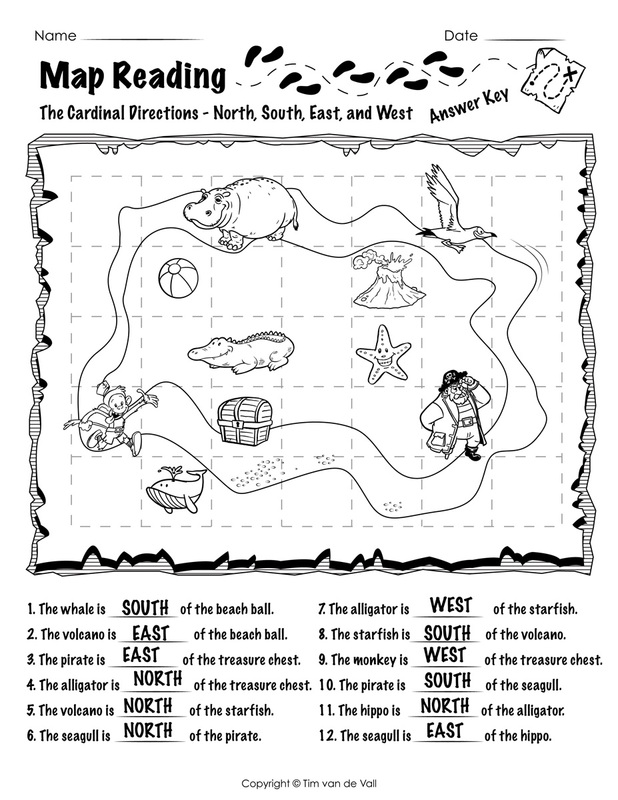 Then print these two free map reading worksheets for kids! 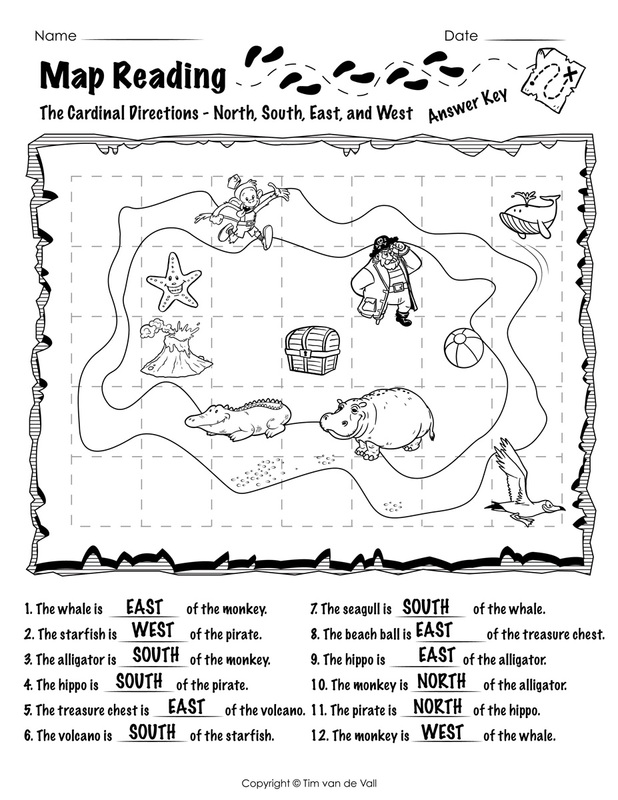 In the second worksheet, the map is the same, but the characters/objects have moved. 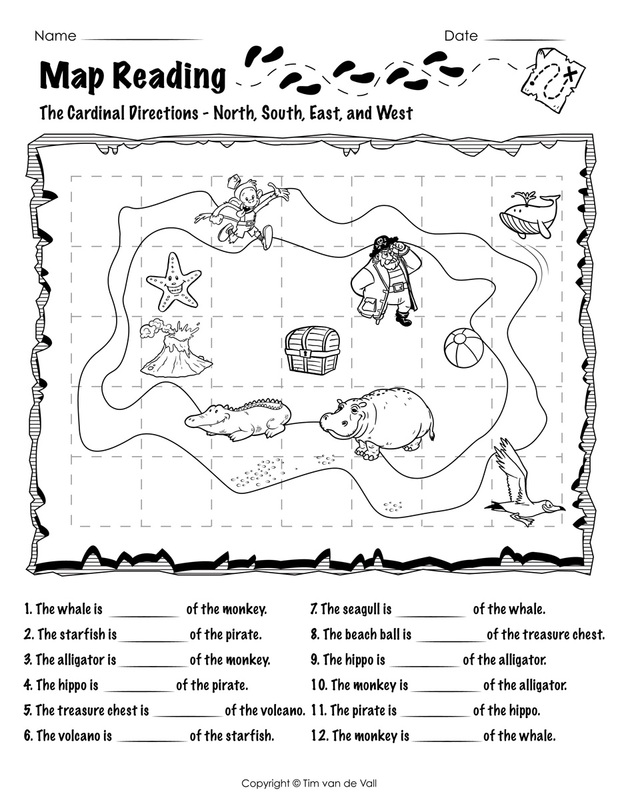 There are 12 new sentences to complete.